Iranian President Hassan Rohani has hailed the lifting of international sanctions on his country, saying a nuclear deal with world powers opened "new windows" for Tehran's engagement with the world. Rohani told parliament on January 17 that the deal was also a "turning point" point for Iran's economy, adding that the energy-rich country needed to be less reliant on oil revenues. On January 16, the UN nuclear watchdog announced that Iran has kept its nuclear promises under the agreement reached in July, triggering the end of sanctions. The announcement set off a rapid process of lifting international sanctions against Tehran. The European Union said it has "lifted all economic and financial sanctions against Iran related to the nuclear program." Washington has also formally lifted banking, steel, shipping, and other sanctions on Iran. Iran also announced the release of five Americans including Washington Post reporter Jason Rezaian as part of a prisoner swap with the United States. On January 17, Rohani said "the nuclear deal is an opportunity that we should use to develop the country, improve the welfare of the nation, and create stability and security in the region." He said Iran should use the expected influx of money and investments to spark the "economic mutation" of the country, which has been suffering double-digit inflation and unemployment rates for years. Iran needs up to $50 billion in foreign investment per year to reach its goal of eight-percent annual growth, Rohani said. With international sanctions lifted, more than $30 billion in assets overseas will become immediately available to Iran. Official Iranian reports put the total amount of frozen Iranian assets overseas at nearly $100 billion. According to the International Energy Agency, already some 38 million barrels of oil are in Iran's floating reserves, ready to enter the market. 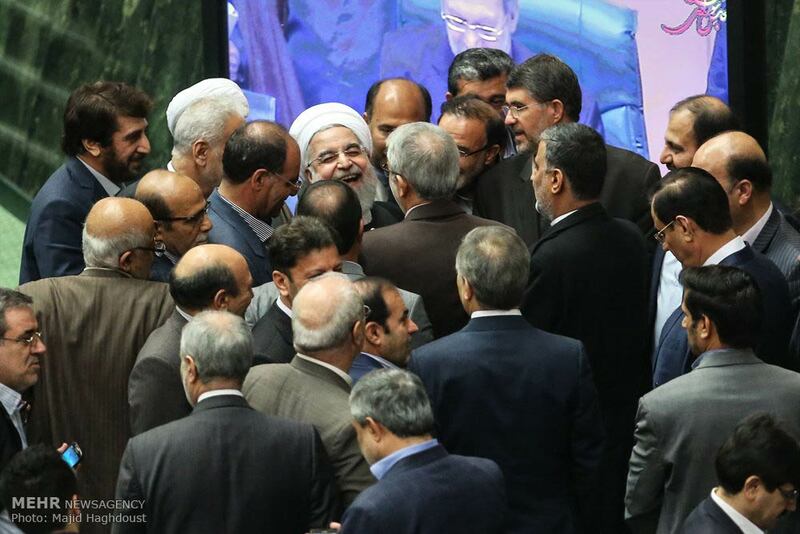 As he presented a draft budget for the next fiscal year to parliament, Rohani said the deal was an opportunity for Iran's economy to cut its "umbilical cord" to oil while prices were low. But despite oil prices falling below $30, Iran intends to increase production after the nuclear deal. The country is expected to increase its daily export of 1.1 million barrels of crude oil by 500,000 shortly, and a further 500,000 in the longer run. 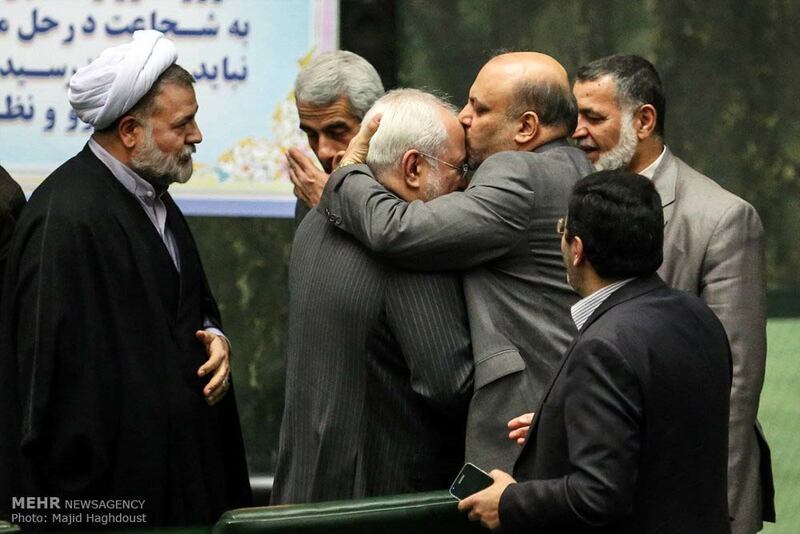 The $75 billion budget had been ready for weeks, but Rohani decided not to present it until the nuclear deal was implemented because it was based on sanctions being lifted. 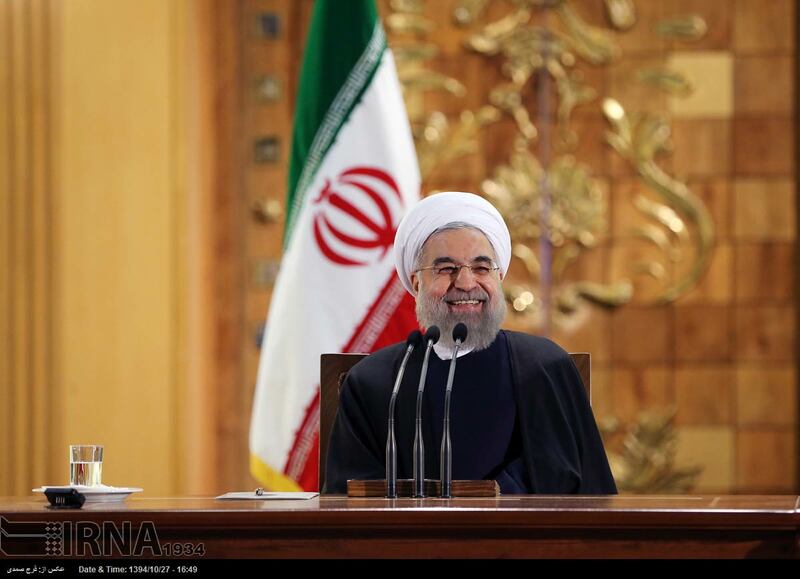 Rohani also pointed out that Iran now needs political tranquility to best benefit from the new economic reality. "All should prevent any domestic and foreign trivialities that thwart us," he said. "Any irrelevant and diverting dispute is against national expedience." Rohani said Iran's nuclear deal signed in July in Vienna with the United States, Britain, France, Russia, China, and Germany was a win for all negotiating parties and all factions inside Iran. 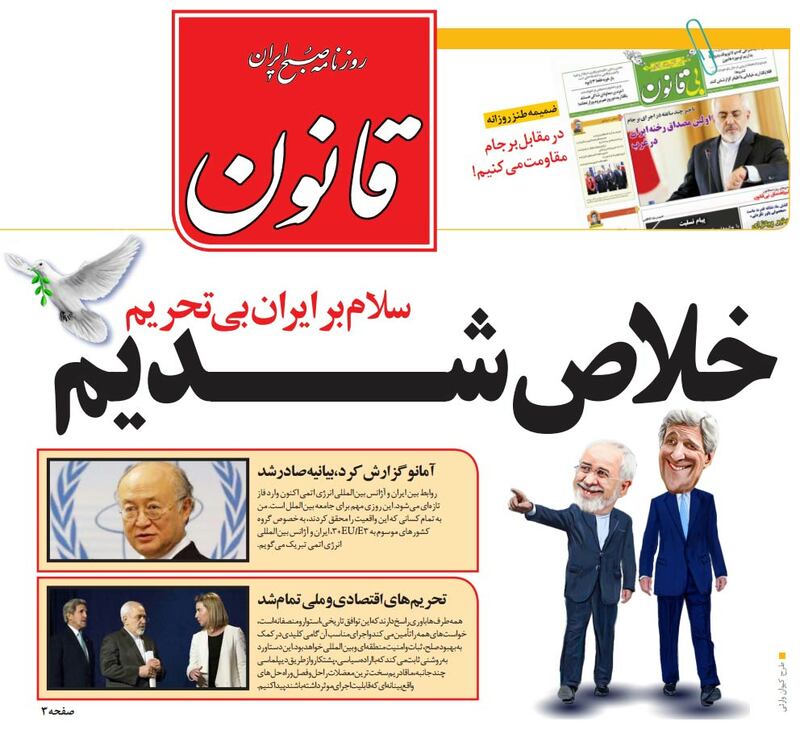 The Vienna agreement was reached after two years of negotiations following Rohani's election.